Categories: Accounting for retail, cloud computing, Convenience retail, Convenience retailing, CounterBooks News, Forecourt Accounting, Forecourt News, Franchising, Fuel Retail Accounting, Fuel Retail News, management information system, online accounting, Online Retail Accounting system, Retail Accountancy, Retail Accounting, Retail accounting system, Retail systems, Retail technology, saas accounting, saas computing, Software for retail, Software retail, store accounting | Tags: About CounterBooks, ACS, CounterBooks, CounterBooks' Story, retailer | Permalink. Categories: Forecourt Accounting, Forecourt News, Fuel Retail Accounting, Fuel Retail News, Gas Service Station News | Tags: BP, BP stats review, energy, fuel retail | Permalink. Categories: Accounting for retail, Forecourt Accounting, Fuel Retail Accounting, Hospitality Accounting, online accounting, Pub Accounting, Retail Accountancy, Retail Accounting | Tags: assets, balance sheet, equity, liabilities, net worth, statement of net worth | Permalink. 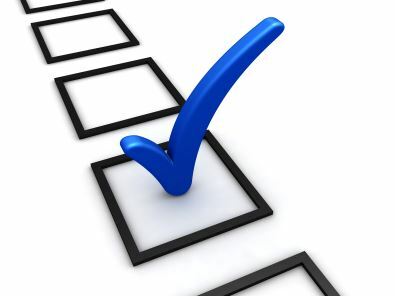 14 things to consider when choosing a CODO / dealer accounting management suite? 1. Service station / gas station specific – Traditional accounting systems are not designed to handle many of the industry specific complexities of service station or gas station accounting. The chosen system should have been designed from conception for service station and gas station businesses; this can avoid any unnecessary and expense consultancy fees in adapting the system for a service station/gas station business. 2. Cloud based / online – On-premise systems are not suitable for Company Owned Dealer Operated (CODO) networks due to their complex reporting requirements and the geographically dispersed nature of the network. Cloud / online systems allow all users to securely access the single source of information under strict permission rights. Cloud / online systems can be deployed rapidly and can reduce the necessity for major capital expenditure as they are hosted and managed by the software company. Upgrades and updates are automatically applied across the network reducing further hassles and complications for both the dealer and the oil company. 3. Full suite – An online software suite which includes a full general ledger accounting system for the dealer and a management information system for the oil company, will reduce the challenge of collating reports and then re-entering the data into a secondary database which is often costly and can impact the accuracy of data. 4. Track record – A proven track record is essential. The chosen system should have a history is delivering projects on time and on budget. 5. Multilingual and adaptable to the local country – Many oil companies operate in numerous geographical markets, therefore deploy multiple systems to meet the requirements of each country such as local languages and accounting standards. Operating multiple systems often result in additional support and training costs as well as consolidation challenges. All of which can be avoided through the deployment of a single “multilingual retail accounting management suite”. 6. Automated accounting – The chosen system must be able to integrate with other retail IT systems and data sources, this can deliver substantial cost and time savings while increasing the accuracy of the data, as it removes any re-entering errors. 7. Customised reporting – One size does not fit all and out-of-the-box reports will often not provide the necessary insight, it is therefore important that the chosen system has the ability to have customised reports to focus on the key areas of the business. 8. Consistent reporting – It is critical to have consistent reporting across dealers to allow for comparisons and provide insight through benchmarking to unlock value within the network. 9. Easy to use – It is imperative that the accounting system is easy to use and intuitive. A difficult system can prolong the project deployment because of additional training and support requirements all of which can be avoided. Network Profit and Loss report (with budget comparison) which shows the network profit and loss performance by dealer and against budget. Purchase Compliance to assess dealers spending with approved suppliers and by category. Network Net Worth and Liquidity report to assist in monitoring the financial stability of dealers. 11. Data analysis capabilities – Through analysing data, oil companies can identify trends and benchmark dealers which can assist in gaining a maximum return on their investment. The chosen system should have an easy to use and powerful data analysis tool to assist in “slicing and dicing” data to aid decision making. 12. Drill down functionality – Static reports such as spreadsheets and PDFs do not allow the oil company to look beneath the figures. With drill down functionality on reports, it will allow the oil company to investigate any irregular aspects of the dealer’s financial reports which could be mis-postings or legitimate exceptional items. 13. Period locking – Oil companies can struggle with maintaining the data integrity of the dealer’s accounting records. At the end of the period, the dealer will send their financial reports to the oil company, after doing so, the dealer might make adjustments to “mask” the true financial performance of the business. The “Period Locking” feature is a highly effective control to restrict such circumstances occurring. Once the dealer has finalised their accounts and reviewed by their accountant, the period is locked which restricts the dealer from making any further adjustments. 14. Budget reporting – Budget comparison reports are indispensable to managing the expectations of the dealers, providing a performance management tool while also assisting oil companies with the distribution of financial support to dealers. If you are interested in understanding how to you can develop your dealer network into a world class retail operation, please visit our website – http://www.CounterBooks.com or speak with us today. Categories: cloud computing, Forecourt Accounting, Forecourt News, Fuel Retail News, Gas Service Station News, saas accounting, saas computing | Tags: accounting system, cloud, CODO networks, CounterBooks, customised reporting, dealer, dealer network, full general ledger accounting system, gas station, management information system, multilingual, multilingual retail accounting management suite, Network Net Worth and Liquidity, network reports, oil company, online system, profit and loss, Purchase Compliance, reporting, retail accounting management suite, service station, traditional accounting system | Permalink. The POR (Profit On Return) Calculator is a tool available on all product pages to help you work out how much you should charge per product to make your desired profit margin. 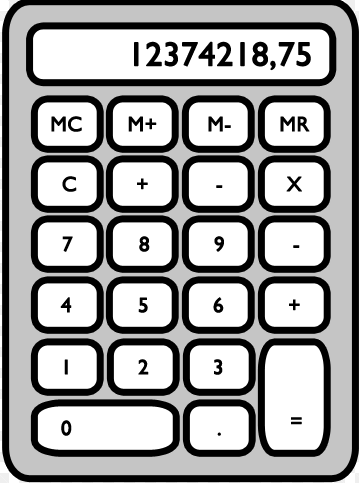 Fill in the fields in the calulator and press the calculate button to work out your unit prices. You can try it out here below. Categories: Convenience retail, Convenience retailing, Forecourt Accounting, Forecourt News, Hospitality Accounting, Hospitality News, Pub accounting news, Pub News, Retail news | Tags: POR Calculator, profit margin, Profit On Return, unit prices | Permalink. CounterBooks, a leading retail accounting management suite for forecourt, convenience, hospitality retail businesses, today announced that it is implementing CounterBooks across Park Garage Group’s (PGG) petrol station commission-operator network. The commission-operators within the network will use the CounterBooks’ online general ledger accounting system to control their businesses. The easy to use accounting system is hosted securely online and with petrol retail specific reports it quickly helps the commission-operator understand how their station is performing against plan. The commission-operator will also benefit from lower costs, save time and improve the accuracy of the data by integrating with the other forecourt systems. The management team at Park Garage Group will use the CounterBooks’ online management information system which provides total transparency and control across their network. Whether it is an individual station, region or network, there are real time reports which allow the user to drill down to the underlying data, standardised reports, consolidated reports and full data analysis functionality to allow total financial control. CounterBooks will provide accurate, comparative and real time information which allows informed decisions to be made by the management of Park Garage Group. This will allow Park Garage Group to drive performance and manage risk whilst continuing to innovate as a leading independent fuel and convenience store retailer. Park Garage Group joins other petrol convenience store retailers such as Shell, BP and Esso all of which are satisfied users of CounterBooks. John Roberts, Managing Director, CounterBooks commented, ‘We were delighted when an excellent independent operator like Park Garage Group selected CounterBooks last year and have enjoyed working with Miles and his team on the implementation’. 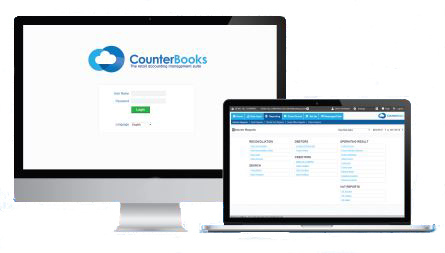 CounterBooks was developed in 2001 – 2 and launched on 1st January 2003 as the world’s first on-line full ledger accounting system designed specifically for retailers. CounterBooks was originally developed as a Pro-Retail MS DOS system by a frustrated computer-programmer-turned-retailer who struggled with traditional accounting systems which were not developed for retail businesses. His aim was to provide an easy to use system suitable for a retailer with no accountancy experience while still providing full easily understandable data reporting. Categories: Forecourt Accounting, Forecourt News, Gas Service Station News, Press Releases | Tags: accounting system, commission-operators, consolidated reports, convenience, drive performance, forecourt, forecourt systems, hospitality, leading independent convenience retailer, leading independent fuel retailer, manage risk, management suite, online general ledger, online management information system, Park Garage Group, petrol convenience store, petrol retail, petrol retail reports, petrol station, PGG, real time reports, retail, Retail Accounting, retail accounting management suite, retail businesses, standardised reports, total financial control | Permalink.